What Can Woody Allen Trapped Inside John Calvin Teach Us About Anxiety? You don’t have to have a therapist on speed dial to relate. You don’t need a prescription to Xanax or Ativan, or a shelf full of ‘dealing with anxiety’ books to know what he’s talking about. You don’t even need to be interested in mental health. If you have a pulse, you know. Of course, it helps if you have an Internet connection too. The skyrocketing rates of anxiety in America are no longer much of a secret. It seems like every few days bring some new angle on the story. Case in point, a trio of noteworthy articles that have cropped up over the last couple of weeks, each worth highlighting here as we begin the long(ish) trek to our upcoming conference in New York with it’s “Identity, Anxiety and the Christian Message” theme. First, there was Nicholas Kristof’s New Years column for The NY Times, where he made public his resolve to talk more about mental illness in 2014. Depression and anxiety and PTSD may not have the transporting or exhilarating/enraging quality that makes other headlines more marketable, but it is where Kristof believes people actually live, as well as something that (largely) cuts through ideological and socioeconomic lines. We need all the unifiers we can get, do we not? A parent with depression. A lover who is bipolar. A child with an eating disorder. A brother who returned from war with P.T.S.D. 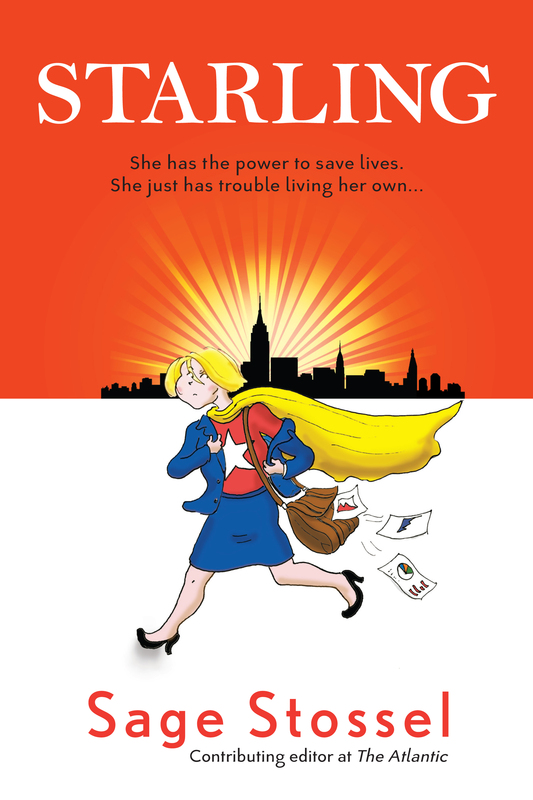 A sister who is suicidal. All across America and the world, families struggle with these issues, but people are more likely to cry quietly in bed than speak out. These mental health issues pose a greater risk to our well-being than, say, the Afghan Taliban or Al Qaeda terrorists, yet in polite society there is still something of a code of silence around these topics. When it comes to de-stigmatizing anxiety, though, The Atlantic may have a significant lead on other media outlets. 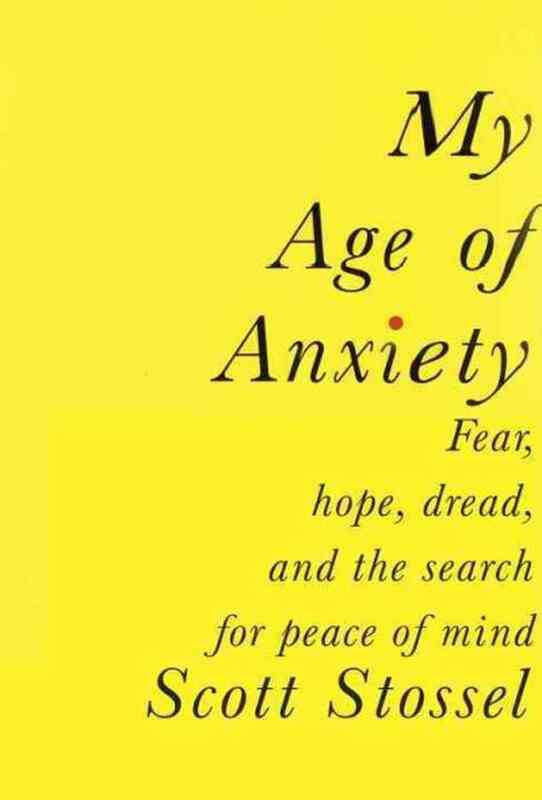 Exhibits A-Z being the Jan/Feb cover story by Scott Stossel referenced above, “Surviving Anxiety”, which is adapted from his new book on the subject, My Age of Anxiety: Fear, Hope, Dread, and the Search for Peace of Mind. It’s a thorough and deeply vulnerable account of his own lengthy history of anxiety, which runs the gamut of treatments and symptoms, remission and relapse. Is pathological anxiety a medical illness, as Hippocrates and Aristotle and many modern psychopharmacologists would have it? 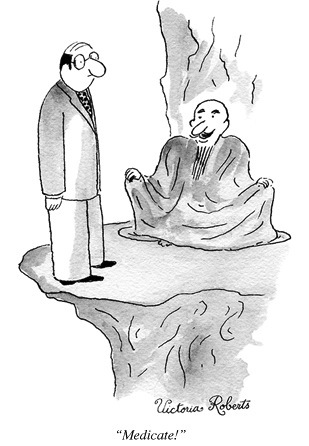 Or is it a philosophical problem, as Plato and Spinoza and the cognitive-behavioral therapists would have it? Is it a psychological problem, a product of childhood trauma and sexual inhibition, as Freud and his acolytes once had it? Or is it a spiritual condition, as Søren Kierkegaard and his existentialist descendants claimed? Or, finally, is it—as W. H. Auden and David Riesman and Erich Fromm and Albert Camus and scores of modern commentators have declared—a cultural condition, a function of the times we live in and the structure of our society? In his 1941 essay “The Wound and the Bow,” the literary critic Edmund Wilson writes of the Sophoclean hero Philoctetes, whose suppurating, never-healing snakebite wound on his foot is linked to a gift for unerring accuracy with his bow and arrow—his “malodorous disease” is inseparable from his “superhuman art” for marksmanship. I have always been drawn to this parable: in it lies, as the writer Jeanette Winterson has put it, “the nearness of the wound to the gift,” the insight that in weakness and shamefulness is also the potential for transcendence, heroism, or redemption. My anxiety remains an unhealed wound that, at times, holds me back and fills me with shame—but it may also be, at the same time, a source of strength and a bestower of certain blessings. Over the past few years, there’s been a rash of attempts to alleviate/exonerate mental anguish by highlighting the links between depression and leadership, or anxiety and intelligence, anger and creativity, etc, and Stossel goes down that road toward the end of his essay, listing a number of great achievers whose chronic anxiety has given them some kind of advantage. No doubt those relationships do exist in some form or other, and you certainly can’t blame him for mentioning the research. We’re all looking for a little consolation, are we not? My hesitation about these so-called “upsides” is simply that, consciously or not, they so often become minimizations of the issue, ways to avoid facing the essential pain of it all, or deny the extent of our brokenness and need. There might even be something legitimately humblebraggy about it. The existentialist’s anxiety, the psychoanalyst’s anxiety, and the anxieties of theologians, sociologists, and evolutionary psychologists have almost nothing to do with one another. They are not even compatible with one another. If anxiety is a product of modern life, then it is not the result of unconscious drives. If it’s the result of unconscious drives, then it is not a sign of our existential awareness of the nature of freedom. It can’t be entirely conscious, unconscious, socially conditioned, and hard-wired at the same time. The most we can say is that a mood that almost everyone experiences has featured prominently in various theories of human life and the world we inhabit. The term itself is a catchall. People describe themselves as excited, nervous, apprehensive, tense, stressed out, bugged, worried, panicky, vapor-locked, scared shitless, sick to their stomach, and feeling like they’re gonna die. Each of these moods is arguably a form of anxiety, but they are experienced as very different affective states. He’s right about this–one person’s stress is another person’s nerves, which is another person’s ennui, and so forth. There is something a bit histrionic about the way the word gets thrown around these days (which figures, I guess), and Lord knows we’re guilty of some carelessness here. Of course, just because there may be too much latitude in the term itself doesn’t diminish the increasing prevalence of all of the above. People are suffering, and making others suffer in turn, and a lot of it has to do with irrational, self-perpetuating fear. The target and degree of the fear may vary according to person, but the effects seem to be pretty constant: exhaustion, sadness, and alienation. To say that they don’t have anything to do with one another feels like an overstatement. From where I’m sitting, the convergence is uncanny. Back to Stossel. Perhaps the chief takeaway from his excellent article is also one of its most sober points: the admission early on that “none of these treatments has fundamentally reduced the underlying anxiety that seems hardwired into my body and woven into my soul and that at times makes my life a misery.” Ooof. I doubt he’s trying to say that talk therapy and medication haven’t provided any relief–like us, I can’t imagine he wouldn’t endorse both options to someone who’s being swallowed up by nervousness. Pills and shrinks can be agents of remission, which people experience all the time, thank God. But in Stossel’s own life–and this is key–that relief has been provisional. That is to say, as miraculous as a good therapist (or church) or the right prescription can be, they are not cure-all’s. They can’t and weren’t meant to bear that kind of weight; in fact, such expectations may shortcircuit their effectiveness. They are not saviors and should not be treated as such. And now we’re squarely in the realm of religion and theology. We can know (or think we know) everything there is to know about why we do something or feel something, but insight can seldom change or help us in a lasting way. Or if it does with Problem X, it doesn’t with Problem Y. The person drowning in a sea of fear doesn’t need an explanation–at least not first and foremost–they need, well, salvation. The person whose anxiety has landed them on the operating table–maybe they’re too anxious to take their medication, maybe they took too much–isn’t interested in a diagnosis. They may even be too far gone for a cure. But they might be interested in something as antiquated as atonement. Because there are some wounds we’ll never get over. Problems we’ll never fix, thorns so deeply lodged they cannot be excised. Some of our weaknesses grow worse over the years. If the Christian message is to be of any genuine comfort, it must address those situations. It must address the impasse. W.H. 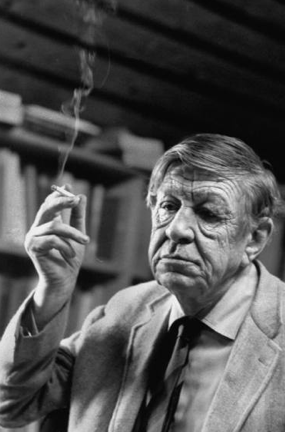 Auden, the poet who coined “the age of anxiety” saw the beauty of a hope that depends on its object rather than its subject (and their ever-changing, never-changing infirmities). Hope that depends on the One throwing the lifesaver, rather than the one catching it–or the color and size and undulation of the ocean surrounding him. Thanks Jonathan! And if you haven’t watched the woody allen interview i included, it’s pretty astounding in its ridiculousness.